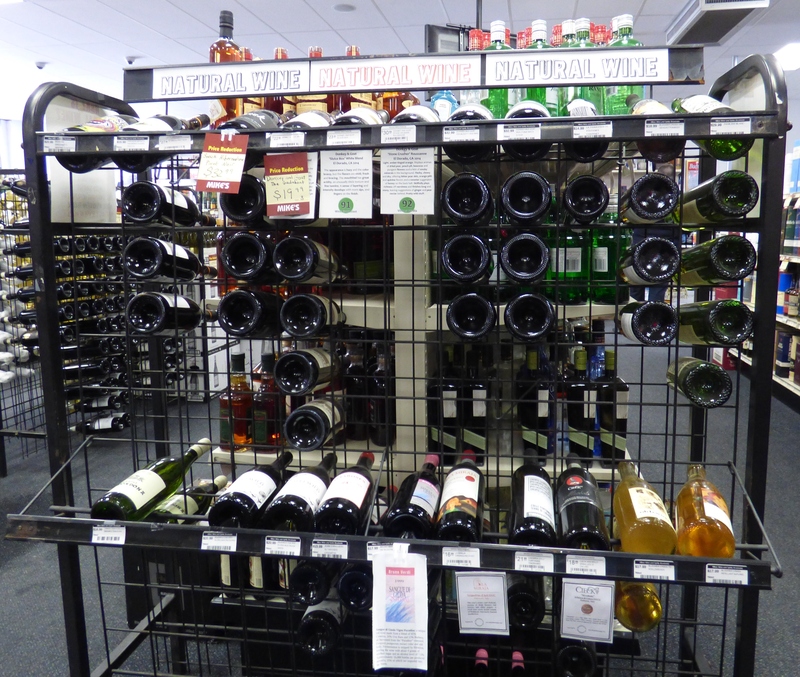 If you spend much time perusing the wine aisles at a liquor store you will occasionally see a bottle of organic wine. Usually, the claim is that the wine is made with organically grown grapes. But what about the winemaking process after the grapes are picked? That’s where the natural wine movement comes in. Is organic wine the same as natural wine? 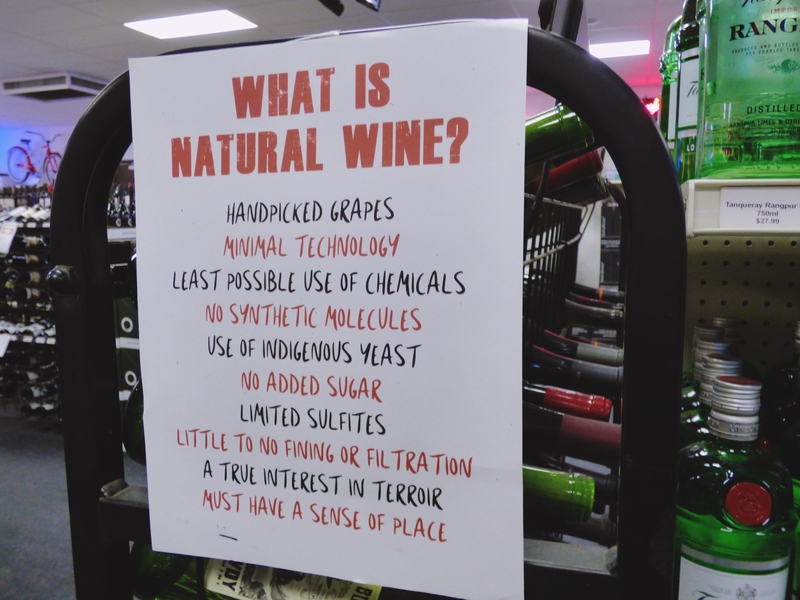 And how can you tell if a wine is considered naturally produced? 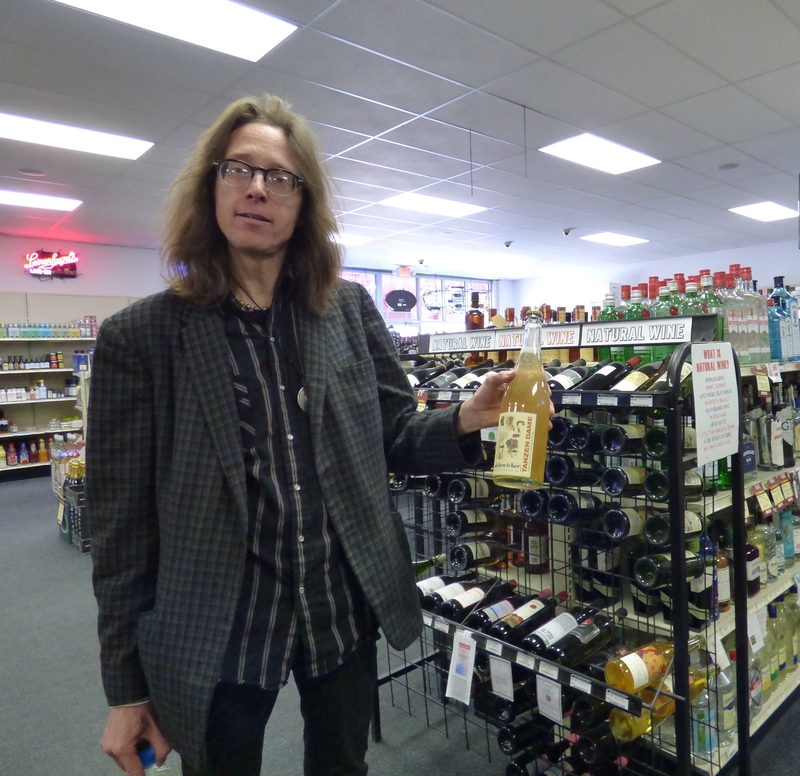 To answer these questions, I met with Henry Feltmeyer, the wine manager at Mike’s Wine & Spirits, at their Brookside, Missouri, location. While organic wine is made using organically grown grapes, natural wine takes the process further using only intervention-free methods of production. Feltmeyer explains, “Organic does not necessarily mean natural. There are many wines produced organically in the vineyard that are then manipulated like crazy during winemaking. That’s not a natural wine. What Is the Natural Wine Movement? “There are people who would disagree that it’s a movement at all. There are many people, sommeliers included, who feel that it’s a mistake. I don’t agree with that,” Feltmeyer says. The natural wine movement originated with a group of growers in the Loire Valley, France, in the 1950s. This group of growers and vineyard owners were already practicing organic and biodynamic practices in the vineyards. The winemaking process, however, is a very technological—and a very manipulated—process. During the making of the wine in the cellar, there are some 200 different chemicals and treatments you can do to a bottle of wine to change it. For example, if you don’t think the wine has a dark enough color, there’s a very artificial molecule you can add to it called mega purple, which gives you a much darker wine. “So, this group of organic growers, farmers, really, they started focusing on making wines with minimal use of technology—not only in the vineyard but in the winemaking process itself,” Feltmeyer says. Feltmeyer explains the care put into the natural wine process: “We’re talking about hand or horse plowing the vines. We’re talking about the care of the vine by hand—not using pesticides or herbicides or fungicides. There’s lots of co-planting in the vineyard to develop natural fauna because that keeps your vines healthier and helps control pests. During the fermentation process, there’s no use of chemicals and stabilizers. Nothing is added to bring out certain fruit characteristics or to heighten the acid or correct for a pH imbalance. There’s very little fining or filtration. Very little use of sulphur or egg whites or fish bladders, e.g., isinglass, in the fining process. Many times, most of what happens will be done using gravity, for example, so that you’re being minimally invasive to the wine in the winemaking process. If you’re looking to find consistency in a particular wine, you won’t find it with natural wines. Every vintage is different because of the weather conditions and the changes in that vineyard from year to year. 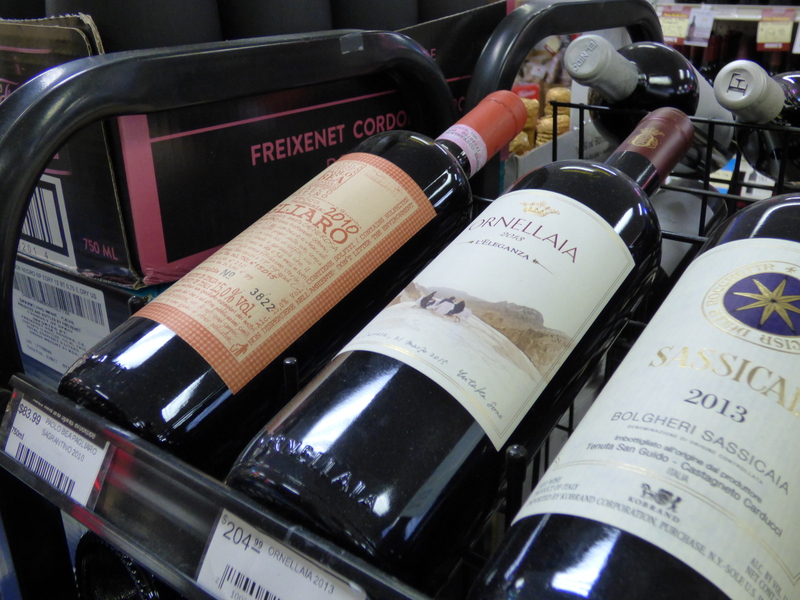 Because of these changes, you won’t find a standardized wine. “The way that so much of the wine world has gone over the past 20–30 years is very antithetical to what natural winemakers are attempting to do. So, the wines are much more evocative of the land’s terroir,” Feltmeyer says. Feltmeyer says that most natural winemakers are against restarting fermentation with a different yeast strain. He notes there are natural winemakers who have completely not made wine because the fermentation stops and doesn’t complete all the way. He explains how one grower overcame this obstacle: “One of my favorites was a little wine from France where for his second vintage of the wine, he was fermenting three different grape varietals and then blending. Well, two of the grape varietals, the fermentation didn’t go all the way, so he only had one grape varietal left. The remaining varietal was a Sinsó, which is also known as Samso. So he bottled it as Samso So, meaning, Sinso by itself. And made a completely 100 percent varietal version whereas before he had been going to make a blend. As to how you tell which wines are naturally produced, you have to use due diligence. Start by researching who is making these wines and how they’re making them. “Most natural winemakers, again, these people are farmers…they own their land, they own their vines, they’re imminently committed to the health of the biodiversity that supports that and allows them to do what they do. So, they tell you, they let you know, ‘Hey this is what I’m doing and this is why I’m doing it.’ It’s a mark of respect for their vines, the land, but it’s also a marketing prop. Generally speaking, they’re not too quiet about it. Which is good,” Feltmeyer says. Originally published at Old Liquors Magazine.